Q&A How to bypass FIR filters in AD9371? 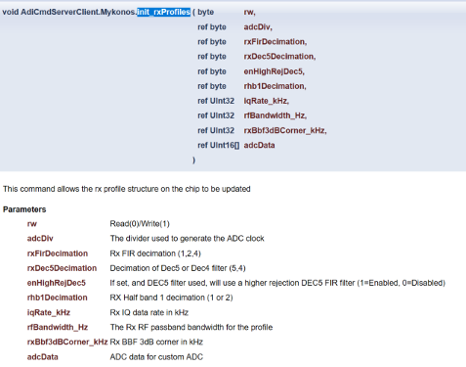 How to bypass FIR filters in AD9371? 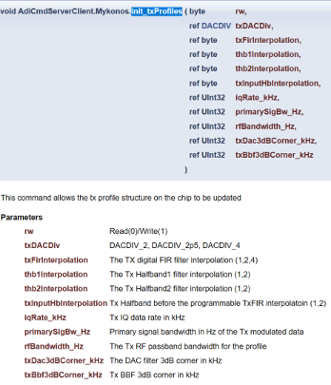 My customer are designing new FIR filter (in FPGA) because FIR performance in AD9371 doesn’t meet their repeater requirement. 1. - They want to bypass TFIR/ RFIR. Is it possible? 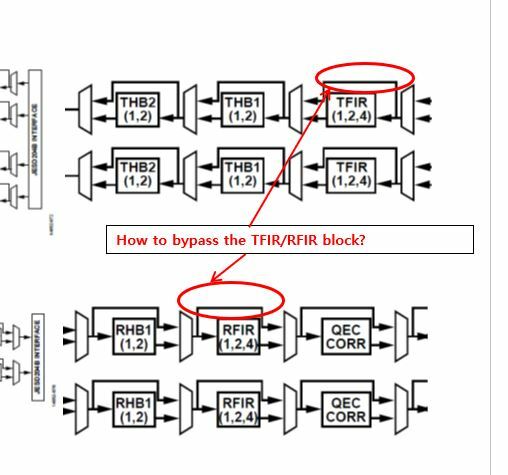 - If it possible, how to bypass TFIR/ RFIR? - If they do the bypass TFIR/RFIR, is the delay of transmit path & receive path reduced? 2. 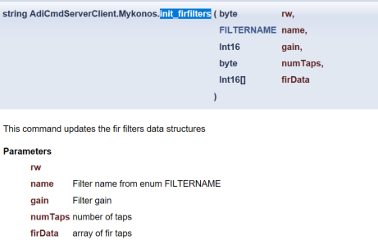 - If they can’t do bypass TFIR/RFIR, how to control the coefficient of Filters? We recommend to use FIR filters because if you bypass it then the drop in analog response will not be compensated. You can keep the FIR filter enabled and if required you can add another FIR filter in your FPGA to meet your requirement. But my customer still want to bypass FIR filter. Would you let me know how to bypass FIR filter in AD9371 ?